Nice scenario. Is it published somewhere? I find the absence of rules for atmospheric re-entry to be an unforgivable oversight. I think my Agent could survive the lethality roll. 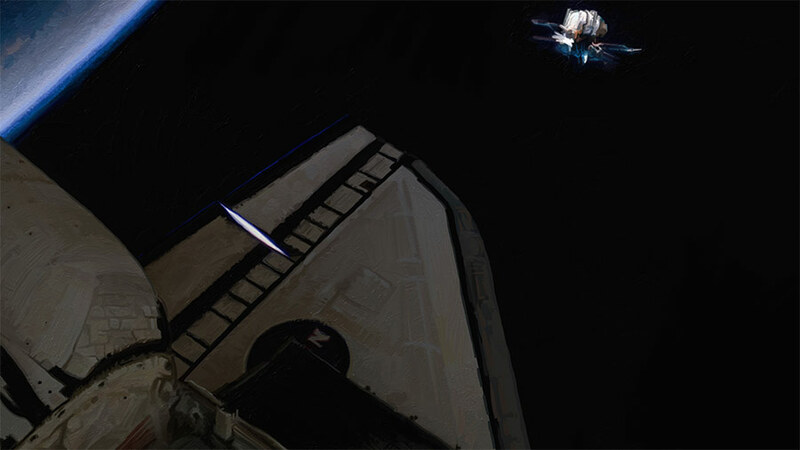 @guh – BLACKSAT will be part of Control Group, an upcoming scenario anthology. It goes to press in March; published mid 2019 (Stolze & Ivey, authors). I’m glad to hear that this is going to see print. Great scenario. A very interesting scenario but the medical part at the start seemed to lead nowhere apart from exposition. And it suffered at least in this play through from the perennial Cthulhu problem of normal people would have said no ages ago, Tom and was particularly gung ho and Greg as the Doctor became somewhat sanguine after his protests fell on deaf ears but it seemed that they had to be to male the afventure work. Like I said I really enjoyed listening to the adventure and the background information/world building was really well done.